McCallum Bagpipes was recently awarded first place in the annual Business Excellence Awards for Ayrshire, beating a multinational company into second place. The award covered a range of organisations of all sizes, including industry and service providers. 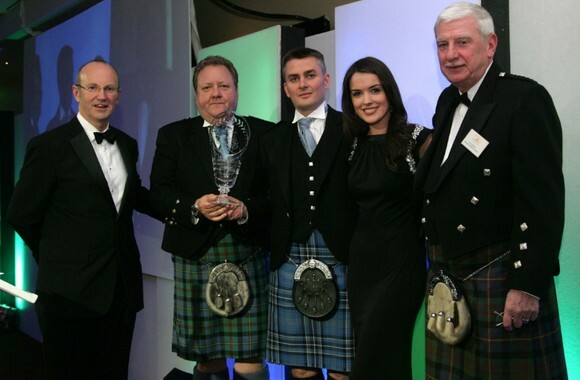 At a dinner held at Ayr Racecourse, McCallum Bagpipes directors Kenny MacLeod and Stuart McCallum were presented with the award by TV personality Fred MacAulay and the current Miss Scotland.